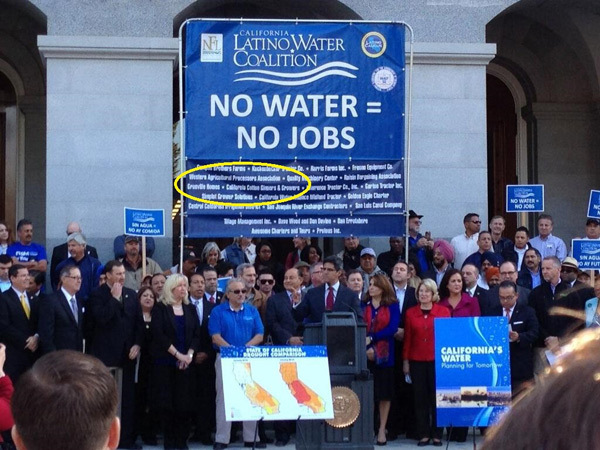 As part of our efforts on water, the WAPA participated in and helped sponsor a huge water rally this week at the State Capitol in Sacramento. The Association's Director of Regulatory Affairs Aimee Brooks led the Association's efforts in Sacramento where over 1,000 supporters joined with a bipartisan group of legislators calling for the governor to declare a drought emergency, and to encourage passage of the water bond and for more storage. Buses from all over the state descended upon the Capitol where chants rallied for immediate action on water, including supporting the passage of the Water Bond on the 2014 Election Ballot. Supporters then entered the Capitol where they knocked on legislator's doors pleading them to hear their story and discuss why this issue is so critical to jobs, families, and local economies.